Desc: Landstrom's Black Hills Gold flower necklace. The flower is fashioned from rose and green gold. 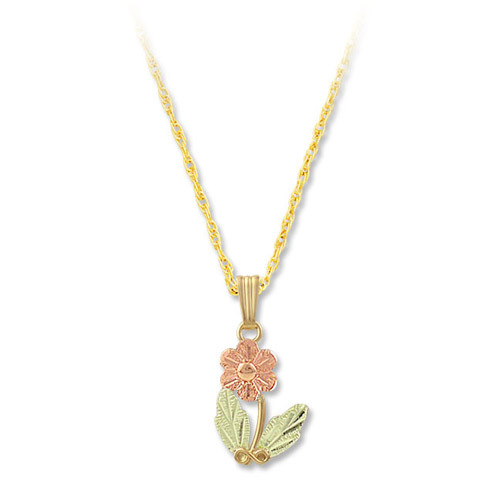 The petals are rose gold and the leaves are green gold. The flower stem is yellow gold.